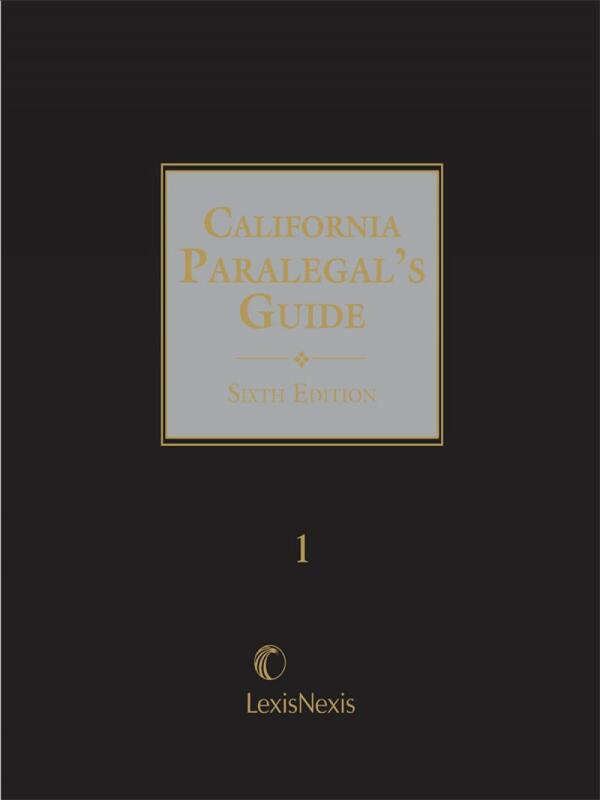 The one-stop Resource for California paralegals and legal assistants. 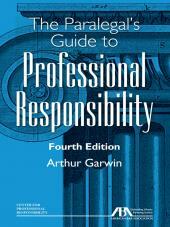 If your firm counts on the expertise of paralegals, or you are a paralegal yourself, this is one book you cannot do without. This publication is designed not just for paralegals and firm staff, but for law students, summer associates, new lawyers, and anyone seeking a straight-forward explanation of basic legal principles, with the road maps of where to go if more information and/or research are needed. The new sixth edition builds on the fifth edition's reputation as both a research tool and paralegal textbook, and extends its utility by acting as a portal to the Matthew Bender suite of California analytical publications. Practitioners and students can turn to this publication for the basics of California substantive law and procedure, then use the extensive cross referencing to more in-depth treatises for detailed research. 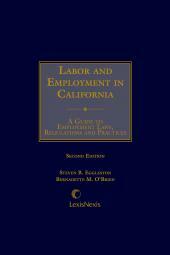 Volume 1 covers the paralegal profession, professional responsibility, structure of California law, legal research and writing, and civil procedure in both state and federal courts. Volume 2 covers substantive law for the major practice areas: contracts, torts, criminal, business entities, family, real property, bankruptcy, etc. The first several editions of this publication were written by Mrs. Zella Mack, as well as the earlier publication entitled California Paralegal Handbook. The Sixth Edition builds on this solid foundation. Mrs. Mack was one of the early woman pioneers of the California legal profession and received her B.A. at the University of California, Berkeley. She was employed by some of the most prestigious law firms in the county such as Ropes & Gray in Boston; Pillsbury, Madison & Sutro in San Francisco; and the Sacramento law firm of Mull & Pierce. Mrs. Mack taught legal secretarial training courses and fundamentals of legal assisting under the auspices of the Sacramento Legal Secretaries Association and the Sacramento County Bar Association. She was a member of the Sacramento Association of Legal Assistants, the National Association of Legal Assistants, the Sacramento Legal Secretaries Association, the California Writers Club, and was a Sustaining Member of the National Federation of Paralegal Associations. Mrs. Mack passed away in late 2009, leaving behind a reputation as a lifelong advocate for improving her chosen profession.